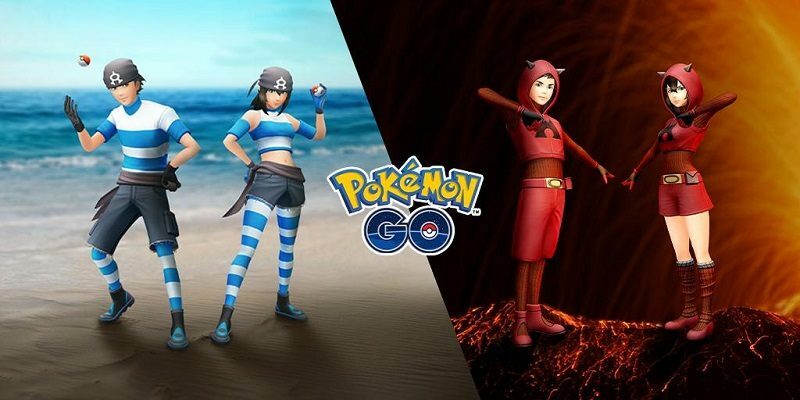 Today’s Pokémon GO news: PokéStop submissions re-opened, Team Aqua and Magma outfits now live, Special Weekend rescheduled in Japan, Tsutaya PokéStops in Japan, and more! Also, as part of the Hoenn event, 7km Eggs now include Mawile, Absol, and Nincada; Shiny Groudon is appearing as Raid Boss, and Lunatone and Solrock can be found as Raid Boss in all regions. A few weeks ago, PokéStop submissions (a system that allows players to submit places to become PokéStop in-game) were closed due to a bug. It looks like that bug has been taken care of, because yesterday, Niantic announced that PokéStop submissions were open once again. Unfortunately, that particular feature is still limited to Level 40 players in South Korea, Mexico, Thailand, Brazil, and Chile. It will be extended to other countries in the future. Due to an issue with ticketing, a Special Weekend that was supposed to take place in July in Japan was postponed. This event will now take place on February 23rd, from 10AM to 8PM local time. It will feature increased spawns of Charmander, some Unown letters (S and B), and Double EXP. In order to take part, you first need to get a ticket from the SoftBank website (only available via lottery if you’re not a SoftBank or Yahoo! Mobile customer). After that, you can spin any of the sponsored PokéStop for the event to begin for you. Earlier this week, Niantic announced a new partnership for Pokémon GO in Japan, this time with Tsutaya. Basically, over 1 200 Tsutaya stores will become sponsored PokéStops.